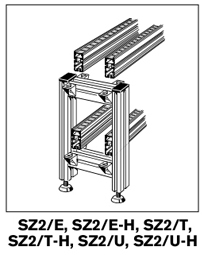 Leg sets are constructed of rugged extruded aluminum profile. 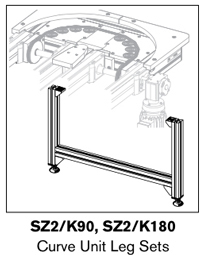 The T-slotted design of the leg sets provides a convenient mounting location for control systems as well as a wide variety of other components and accessories. 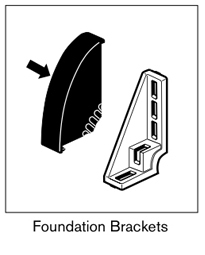 Foundation brackets are available in steel or die-cast aluminum. The die-cast aluminum brackets also have a cover cap to prevent dirt accumulation and at the same time provides a clean finished appearance.